In October 2000, Vancouver Firefighter, Ranny MacDonald, was diagnosed with ALS, also known as Lou Gehrig’s Disease. On January 13, 2003, after a long and valiant fight, Ranny succumbed to this disease. 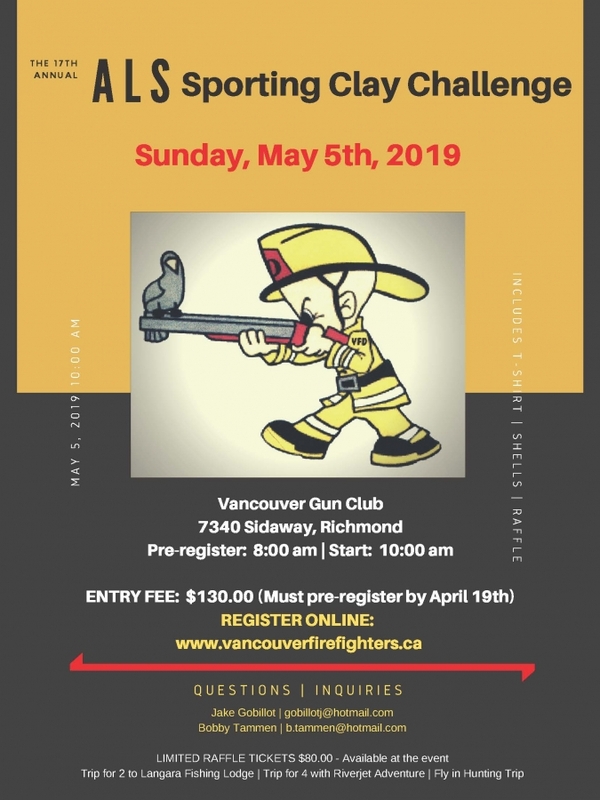 Since his passing, the members of the Vancouver Firefighters’ Union Local 18, in conjunction with the Vancouver Gun Club, have held an annual fundraising event for ALS in Ranny’s memory. Battalion Chief, Jim MacLeod, who was also a member of the Vancouver Fire Fighters’ Union, was also diagnosed with ALS in 2008. Jim battled this disease with strength, courage, and dignity and unfortunately passed away in 2009. Amyotrophic Lateral Sclerosis (ALS) is a rapidly progressive, neuromuscular disease. It attacks the motor neurons that transmit electrical impulses from the brain to the voluntary muscles in the body. When they fail to receive messages, the muscles lose strength, atrophy and die. ALS can strike anyone at anytime, regardless of age, gender, or ethnic origin. It does not affect the senses, and only rarely does it affect the mind. The equipment costs for each patient average $137,000, while nursing and home care costs can be up to 10 times this amount. The average life expectancy after diagnosis is 3 to 5 years. For more information visit ALS BC.